This summer I will be returning home for the longest period of time since moving out for university so I am very much looking forward to being able to spend time with my siblings and the rest of my family. Also, I have truly missed being in Devon. Don't get me wrong, I love it in Cardiff but, being West Country born and bred, I do miss the fields and cows and the general cosiness of village life. So, to really set myself up to embrace the summer, I decided to put together a small list of things I want to do this summer. Ok, the only scones I have found in Cardiff are in Greggs. They are made with whipped cream. I'm sure Devonians feel my pain in this. So, I am going to feed up on scones when I am back in Scone County. And, I'm sure you'll agree, this is a pretty achievable goal. And, yes, I put the jam on first as jam is pretty difficult to spread on cream. I know, I probably am not longer welcome in Devon and have shocked, offended and disappointed you all. Coz I iz all abowt da Ps - holla! But, in all seriousness, going to uni has taught me that stuff is expensive. Although Iceland sells pizza for 89p, fruit - and all that stuff that isn't covered in chocolate that people say you should eat - is pretty pricey. I currently have a cleaning job for 6 hours a week which is good for topping up the ol' student loan but, hopefully, I'll get more hours in Devon. I often joke that I am pretty much the opposite of the stereotypical woman as I can't cook, I am very messy, and I very rarely cry. But an incident yesterday made me realise it is probably high time that I learnt how to cook a couple of basic meals. So, yesterday I tried to make microwavable paella. It went horribly wrong. How I managed to fail in cooking a microwave meal is beyond me. I love watermelon. I just can't get enough of it. Then I started to consider how nice it would be in the summer to have it frozen. So, I googled it and, lo and behold!, you can make watermelon ice lollies. Who knew, eh? This is a bit of a personal one but I used to be the kinda girl who loved going swimming and to the beach. But, as I got a bit older (and chubbier), my confidence levels dropped - to the point where now I don't even own a swimming costume as I have not had the confidence to go swimming in a long time. However, I feel like my confidence has really grown since I have been at university and, this summer, I really want to try to embrace my body. It is a bit wobbly and my thighs do tend to resemble blancmange, but no-one is perfect and that's what I want to keep in my mind as I put on that swimming costume and head out. My current life problem is that my blogging camera hates my laptop so my ability to upload any pictures is pretty minimal. But, once I am back home, I'll be using the main computer so I can really focus on posting regularly and actually having some decent pictures with said posts. Because, in case you didn't notice, the pictures I have been using lately are taken with the camera on my phone and the quality is atrocious. It has been a long time since I last went to London. But London is definitely somewhere I love to visit. I mean, there is always something going on there. You name it, you'll find it in London. I particularly love the markets in London - my favourite being Borough Market as it has so much delicious food (this has pretty much turned into a 'to be eaten' bucket list). Last time I was in London, my auntie and I got lunch at a street market and picked up some chicken and chorizo paella which was so delicious. Summer is car boot sale season, in my mind. It always has been and always will be. I'm not sure if anyone else's parents used to take them to car boot sales all the time in the summer (and run stalls at some too) but I certainty have fond memories of it. You can always find great bargains there and there are always burger vans and icecream vans and a huge bouncy castle (not sure they would let me on there now though...) so it makes for a brilliant day out. Maybe it's just because I am a working class lass but summer, for me, is staying in Cornwall for a week in a tiny caravan, going to the beach, spending hours scouring stalls at car boot sales and having picnics in the park. 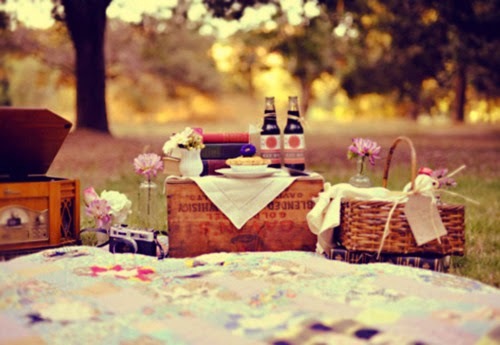 I love a good picnic with my friends and, preferably, also with Pimms. Just getting a load of food together and heading out to the park to have a gossip whilst tucking into something delicious in the summer sun - that just seems like an amazing way to spend my time. One of the things that I have found the most difficult about university is not seeing my close gal-pals as often as I would have liked to. I really have missed the gossip sessions and just being able to have a giggle about silly things with people who you're really close to and who really understand you. When I get back to Devon I am really looking forward to spending more time with my friends and there is even talks of taking a weekend trip to Paris. I mean, it's a logistical nightmare but it's still a nice idea. I hope you enjoyed this post and I would love to hear what you have planned for the summer. Those watermelon ice lollies look insane!!! And I totally feel your pain with the whipped cream scones, that is not right! I am now craving scones, ha! Wow i have never seen those watermelon ice lollies before, I want to make them too. Mm Scones are always a good idea. I kind of want to do everything on your bucket list haha! Those watermelon ice lollies look incredible! Cute blog! Love your photos so much, they're so amazing! Followed you- care to follow me back? 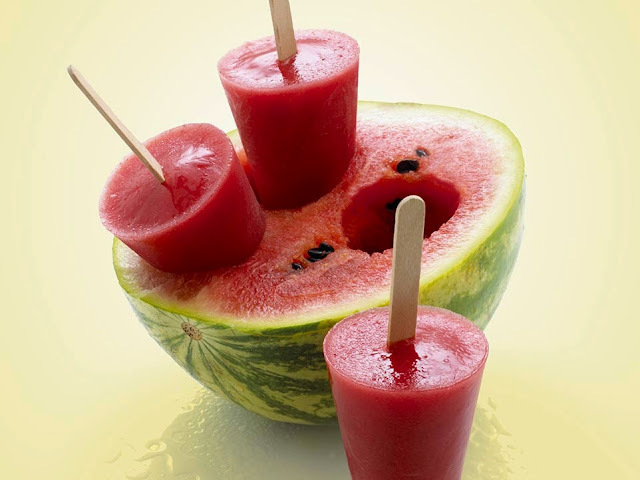 These watermelon ice lollies are amazing idea, I really need to make them this summer!!! Learning to cook is super useful, whether men or women, I think everyone should at least have a couple of really delicious dishes that they know how to make anytime, anywhere. Sounds like a lovely Summer. Good luck with the cooking, I did laugh about both the microwave fail (how?) and the rice rinsing! This is such a lovely list - any bucket list which includes picnics, travel and scones gets a thumbs up from me! I hope you manage to tick everything off.